Western juniper mantel #411 is 58.5 long 6″ thick 9″ shelf and has a flat back, top, and bottom. 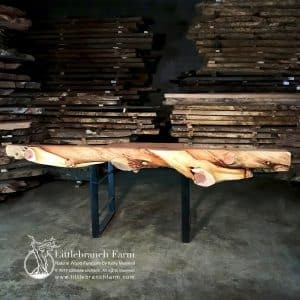 Handcrafted western juniper wood mantel shows unique qualities such as knot and complex colors. 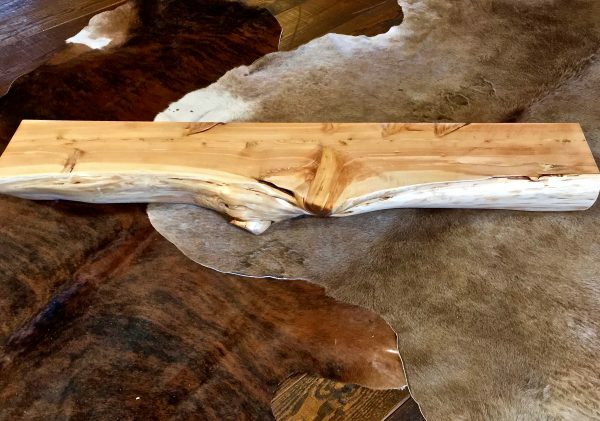 This rustic fireplace mantel also has a natural live edge on the front with a flat cut back, top, and bottom. These simple live edge wood planks also make great floating vanities and floating wood shelves. 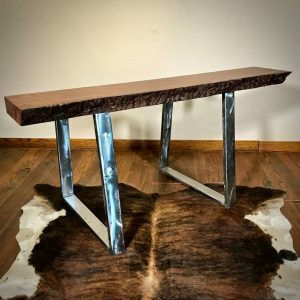 Western juniper logs are also used in rustic furniture such as rustic log beds and rustic coffee tables. A little tidbit is only about 1% of the trees are twisted and highly figured. Juniper rustic mantels are bold and make a statement. 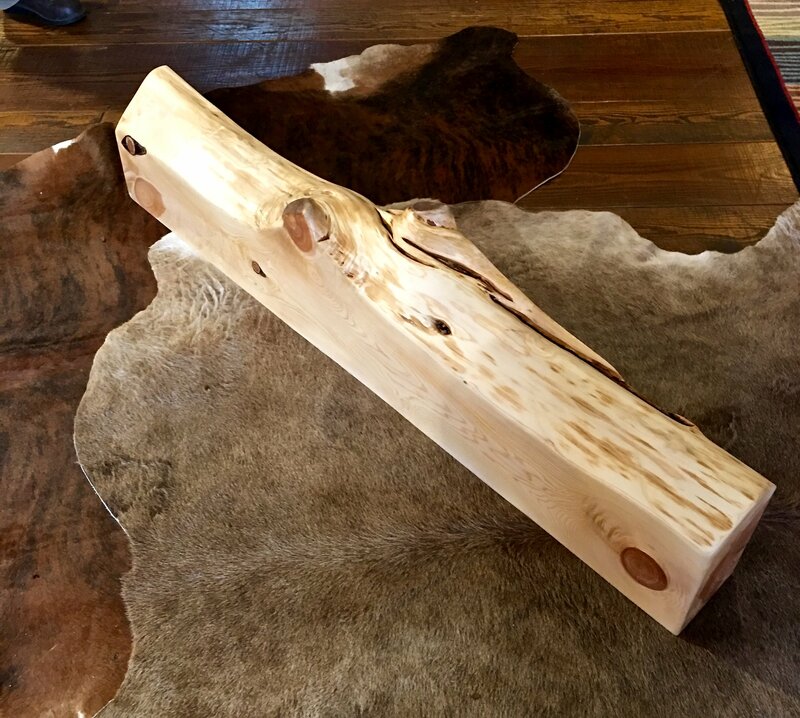 They are also versatile to use in natural wood furniture.